Ok, Juno's a true Alaskan Husky which is a mix, probably a German Shepherd, hound dog mix. But, he's been around huskies and does great with them. Juno is an honorary husky! He is a super sweet pup who has had a rough start in life, but things are getting better for Juno. He has some of the protective qualitites of a sheperd. He's about ready to find his forever home and share a lifetime of love and experiences. 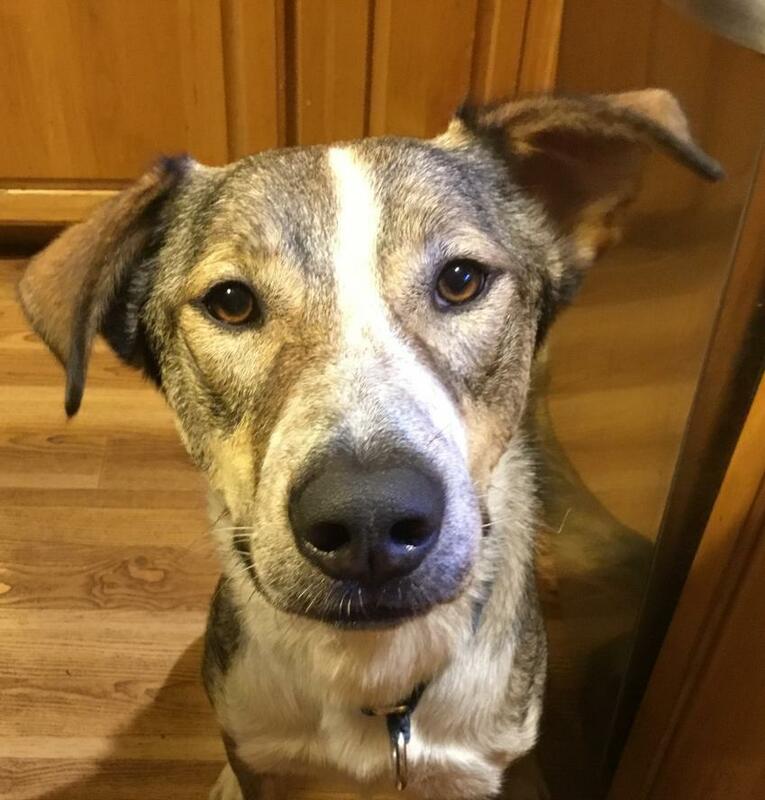 He is a neutered Male, 2 years 5 months old, Housetrained, Crate Trained, Lead Trained, good with Children, has Rabies vaccinations, has DHLPP vaccinations, microchipped.